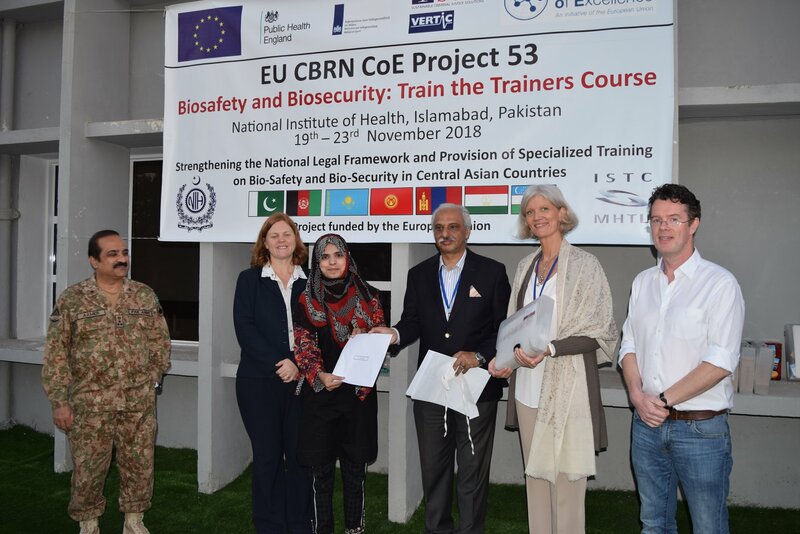 Laboratory Biosecurity and Biosafety practices are fundamental to public health. 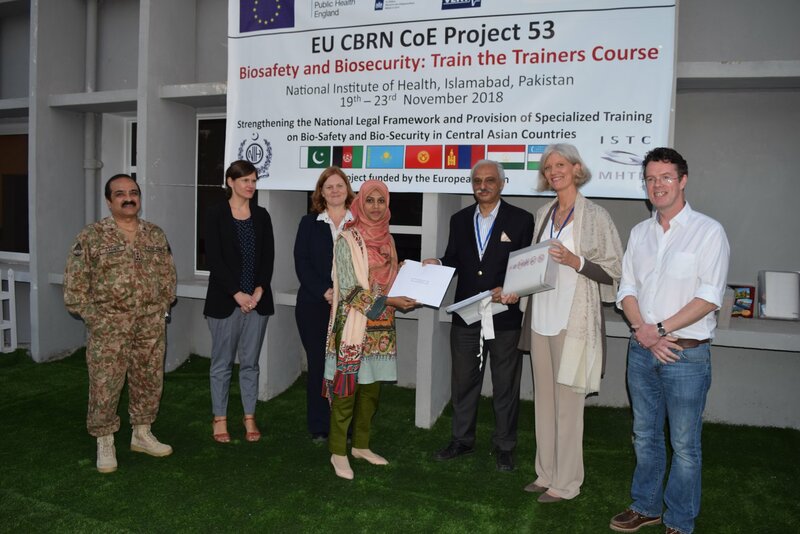 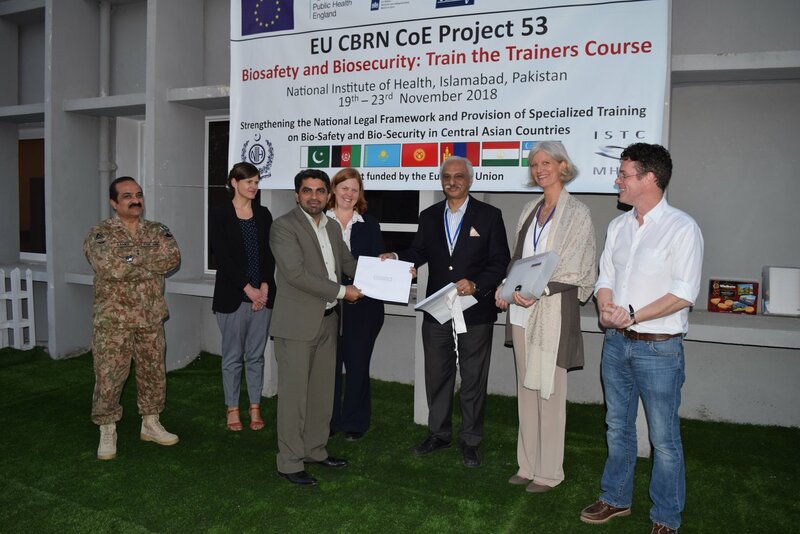 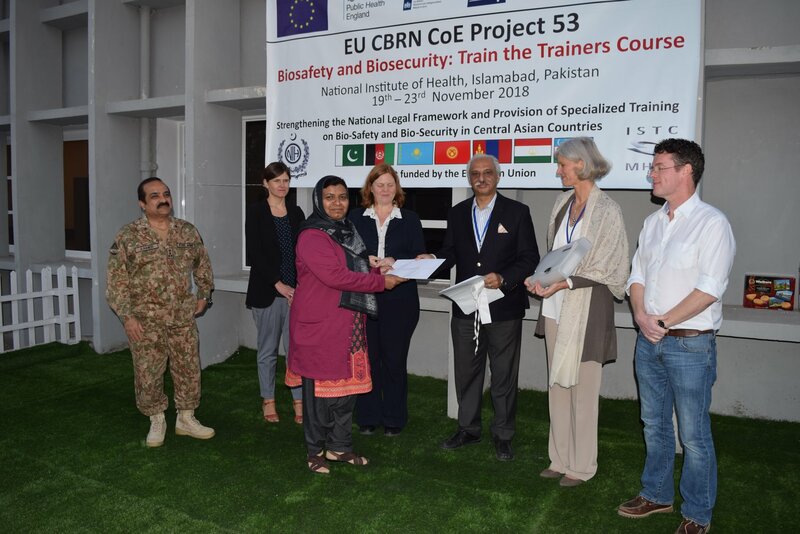 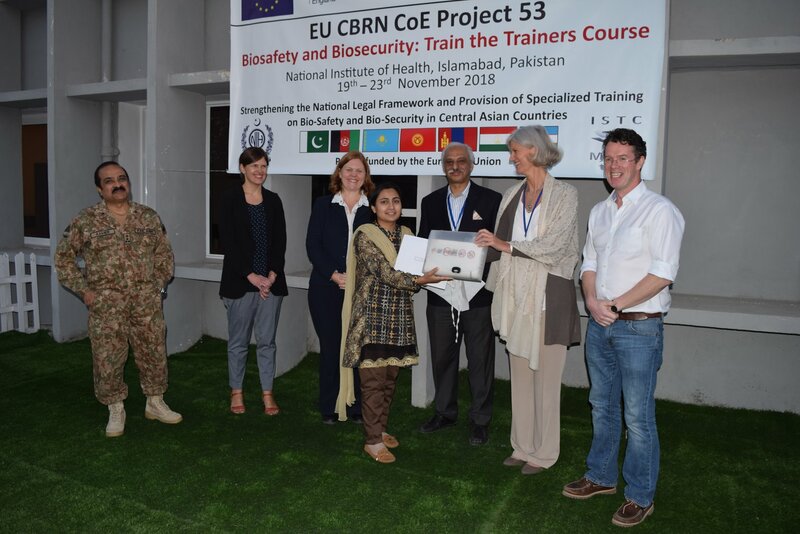 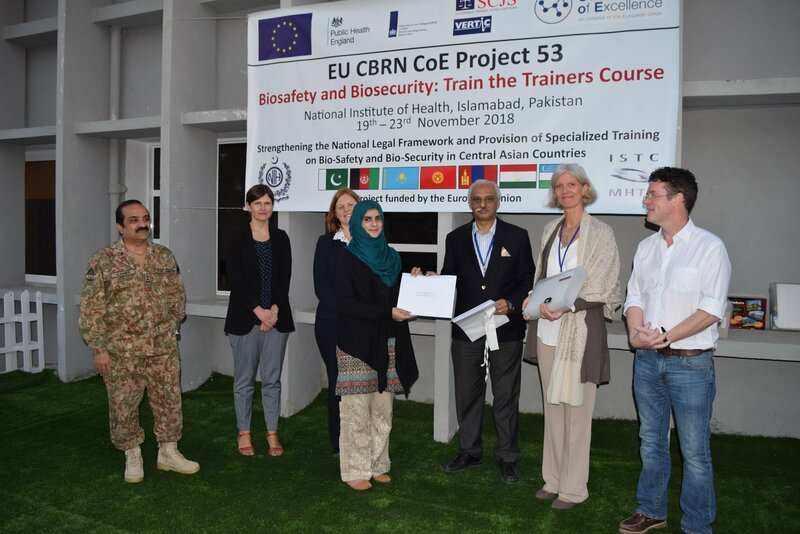 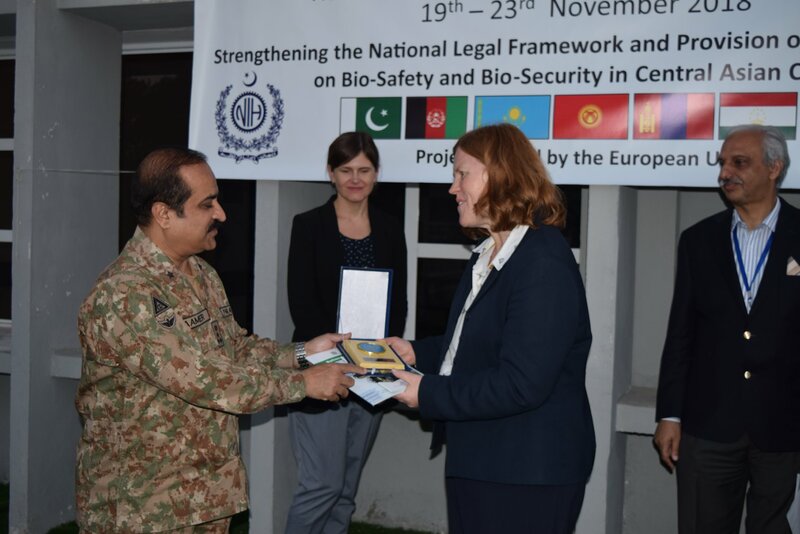 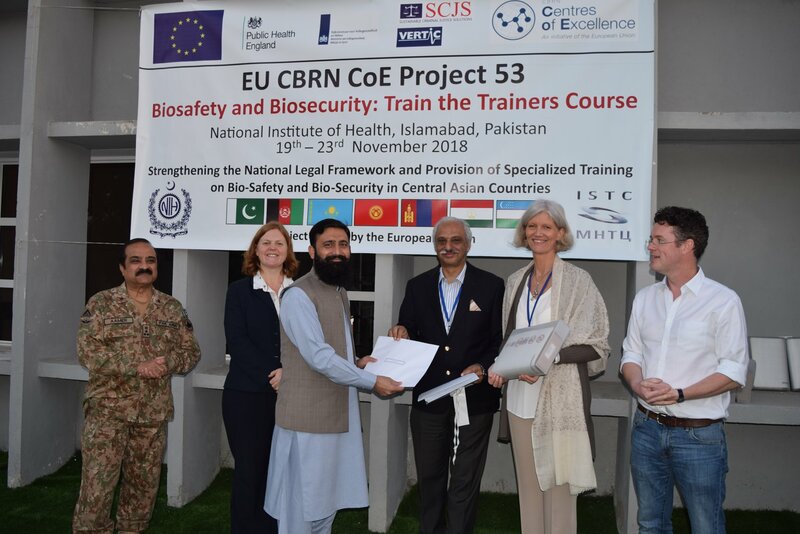 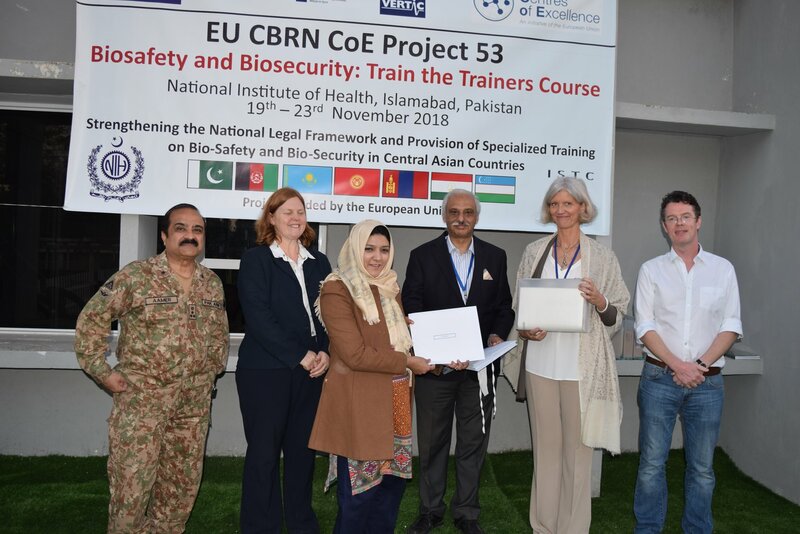 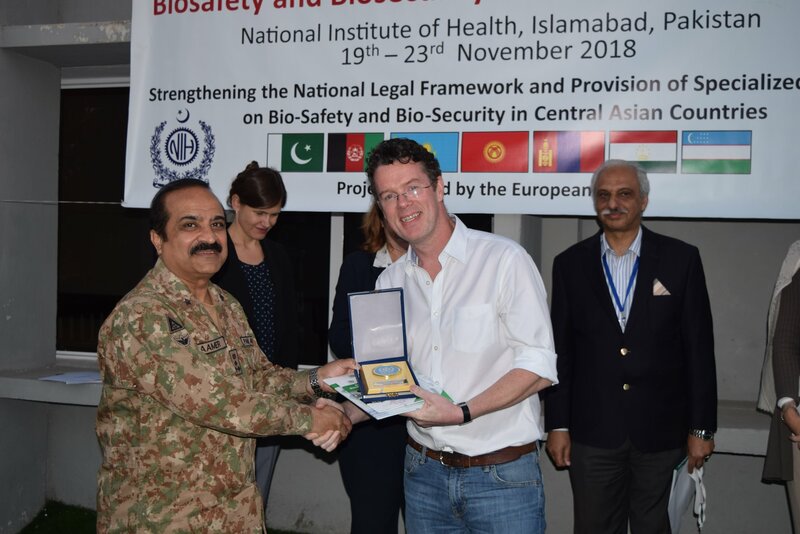 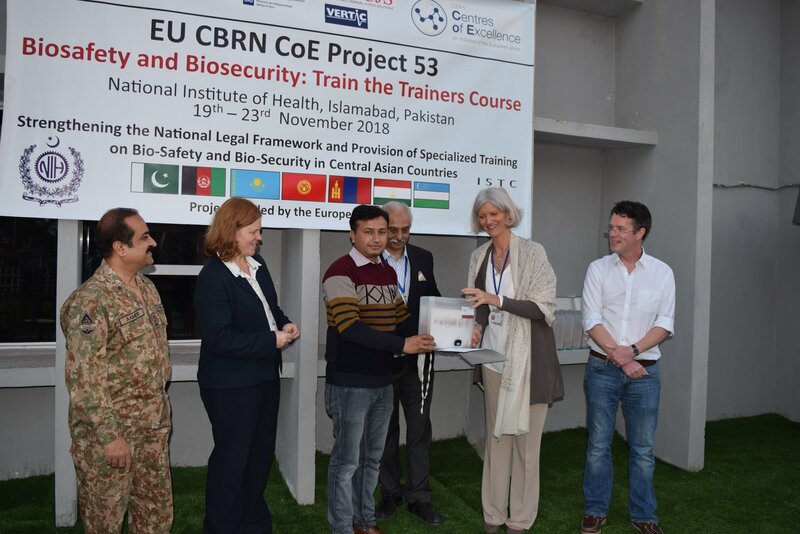 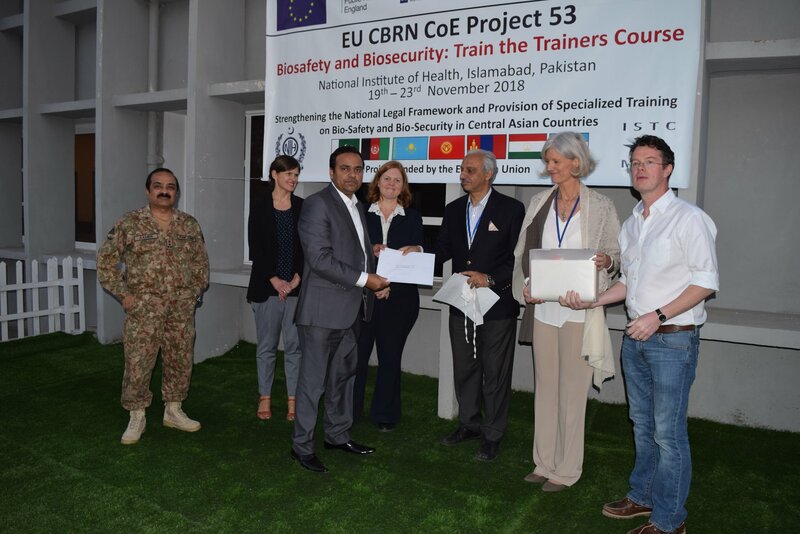 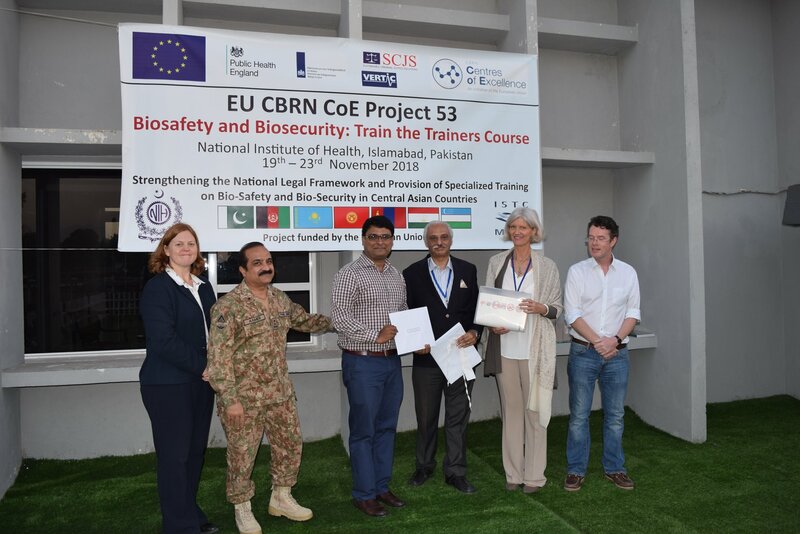 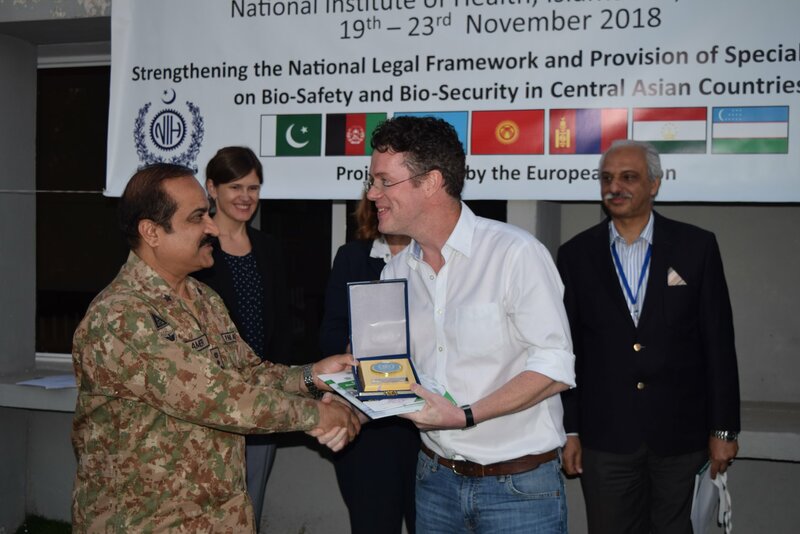 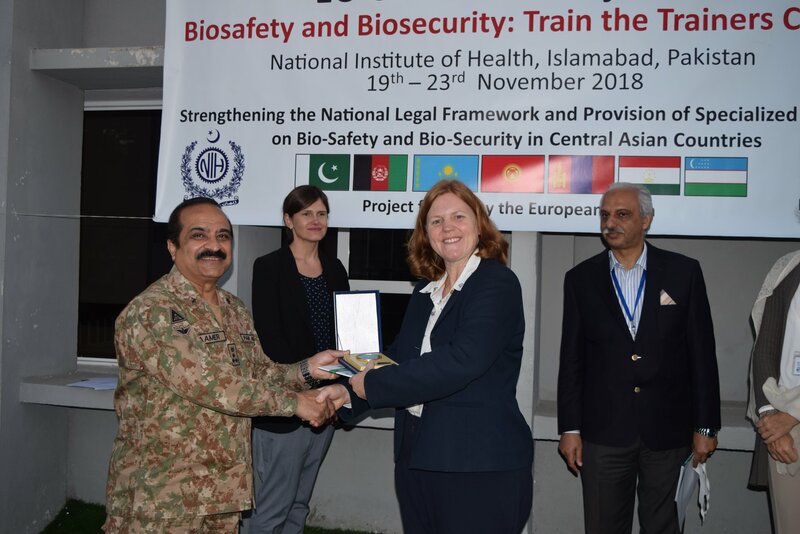 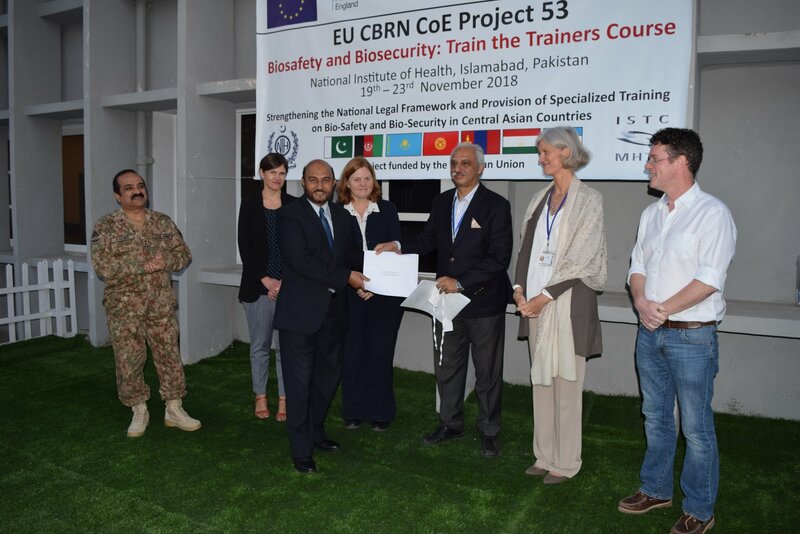 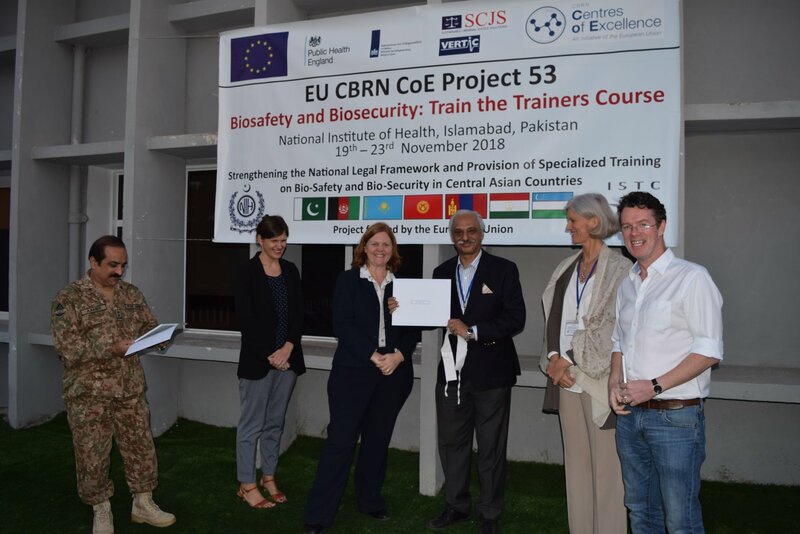 Regarding this, European Union CBRN Centre of Excellence launched Project 53, Strengthening the National Legal Framework and Provision of Specialized Training on Bio-safety and Bio-security in Central Asian Countries. 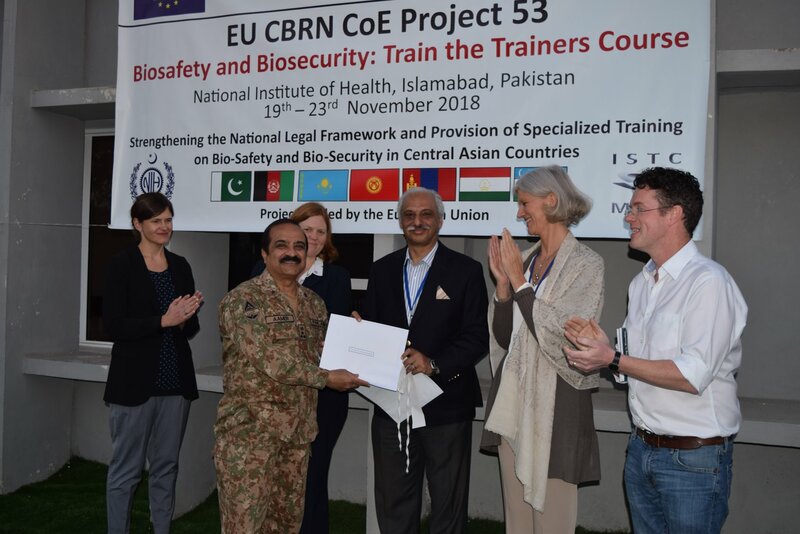 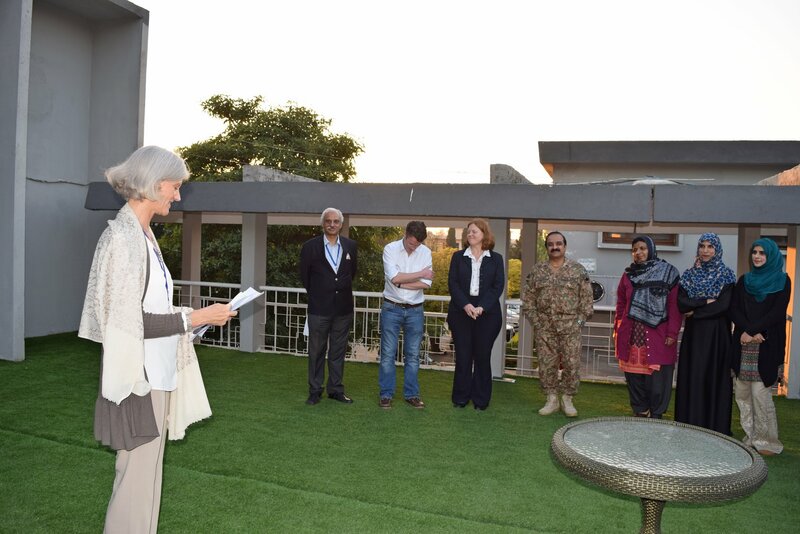 Pakistan is among the seven partner countries where Project 53 is being implemented. 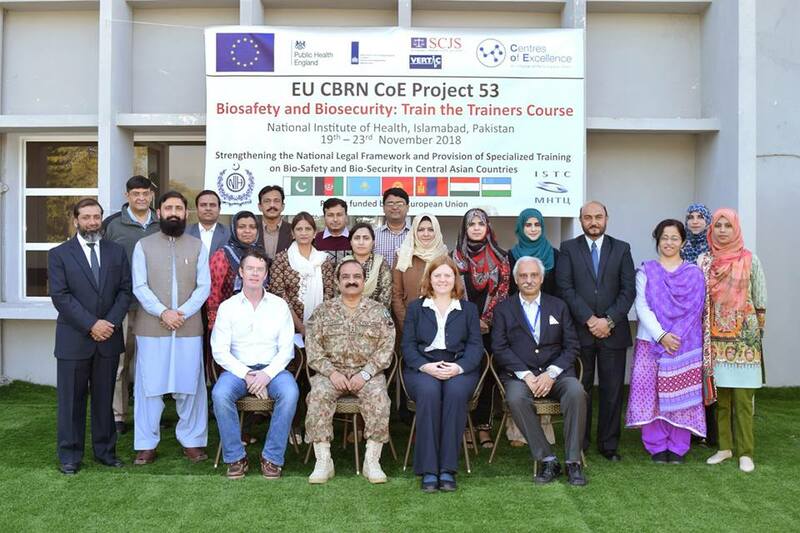 National Institute of Health hosted Project 53 “Biosafety & Biosecurity: Train the Trainer Course” , 19TH-23RD November 2018. 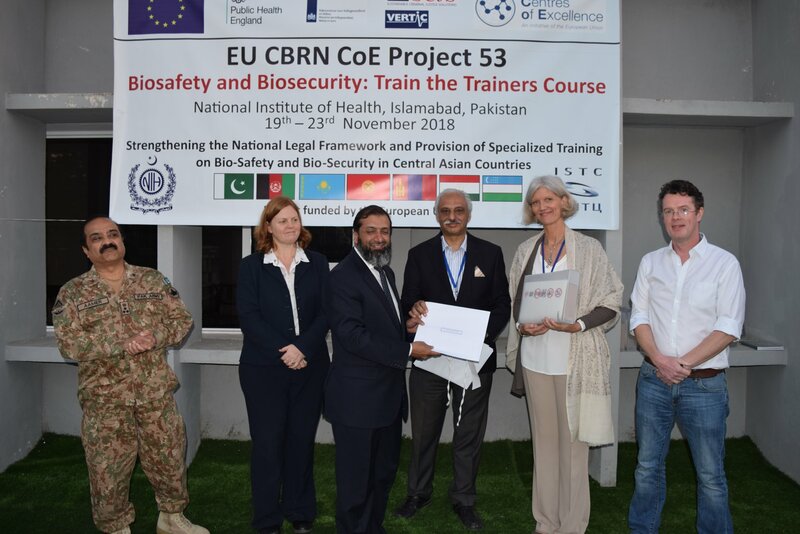 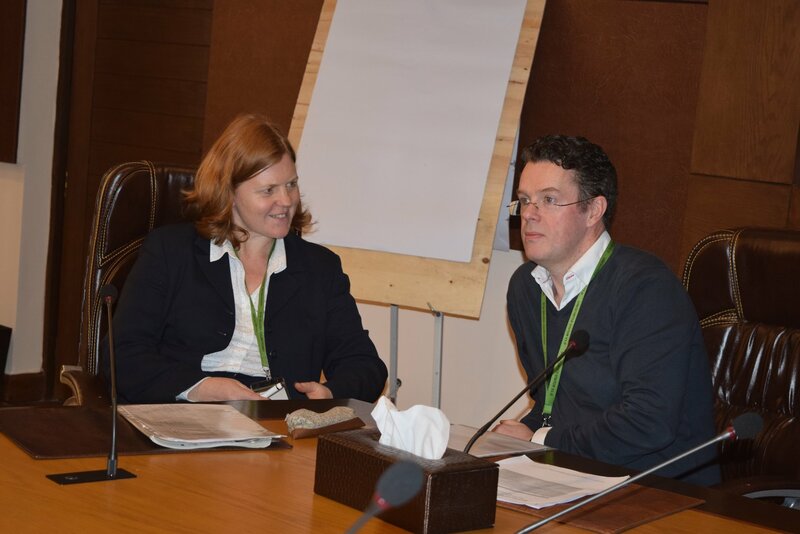 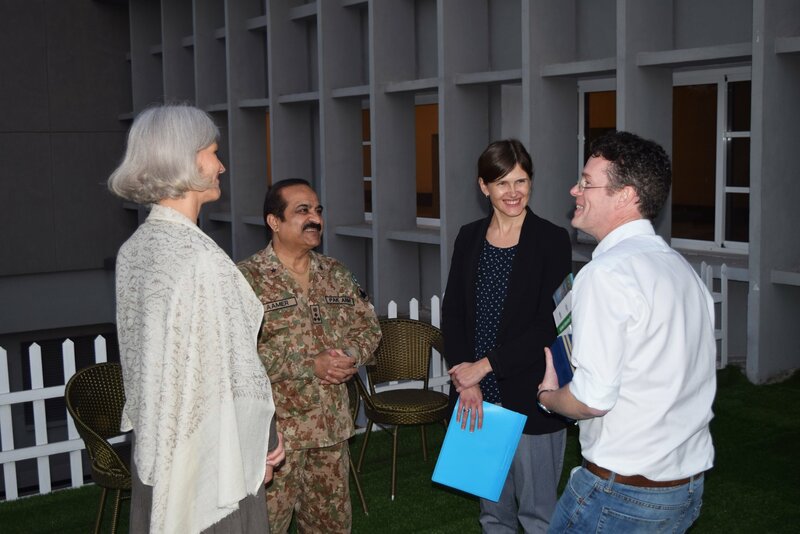 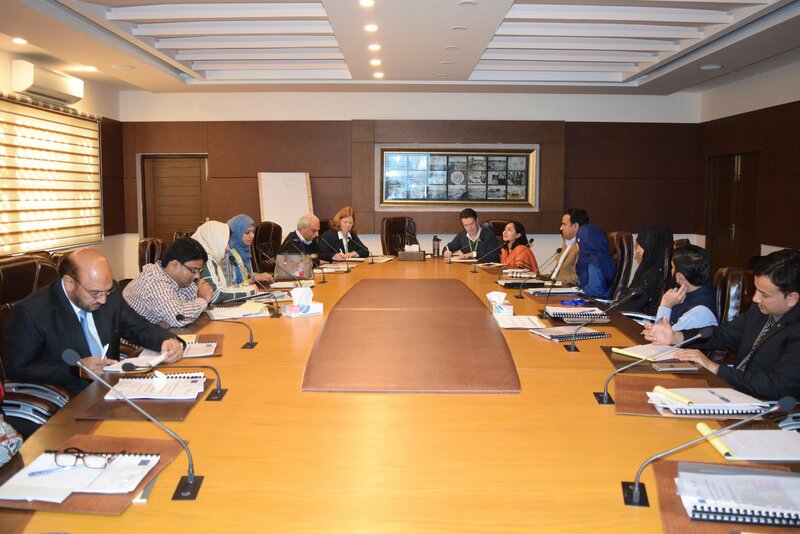 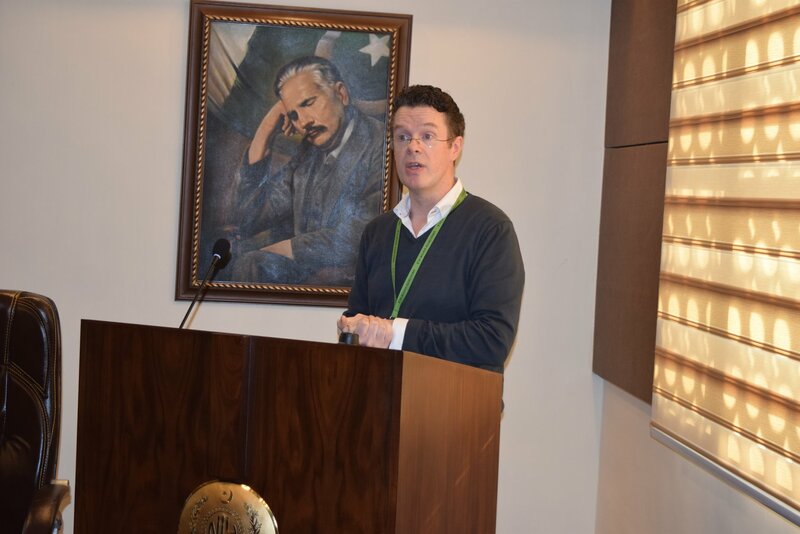 Prof. Christopher H. Logue & Dr. Jane Shallcross from Public Health England (PHE) led the training, supported by fellow biosafety and biosecurity experts from NIH. 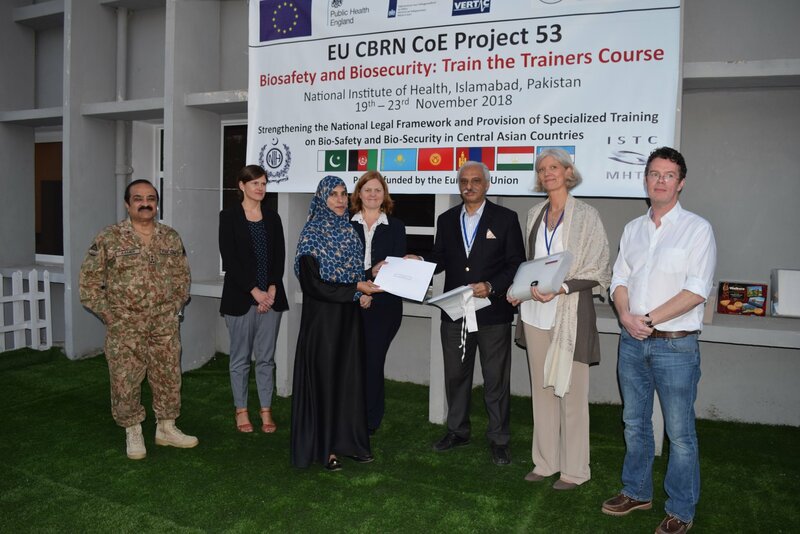 A team of 12 participants attended the course. 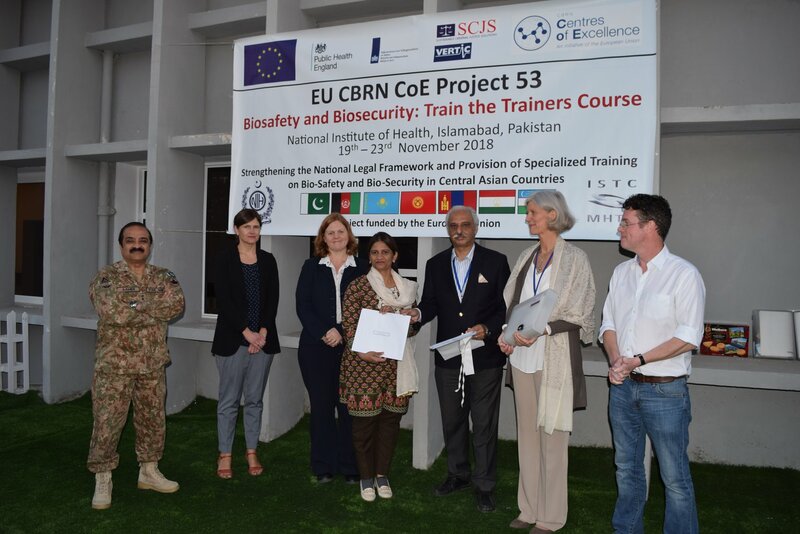 The hands-on training programme consisted of a three-day biosafety and biosecurity input and a subsequent two day train the trainer (TTT) course. 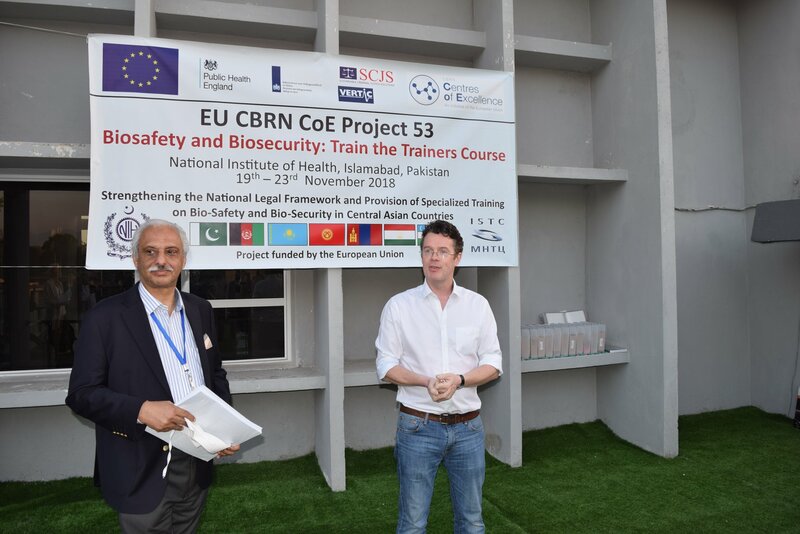 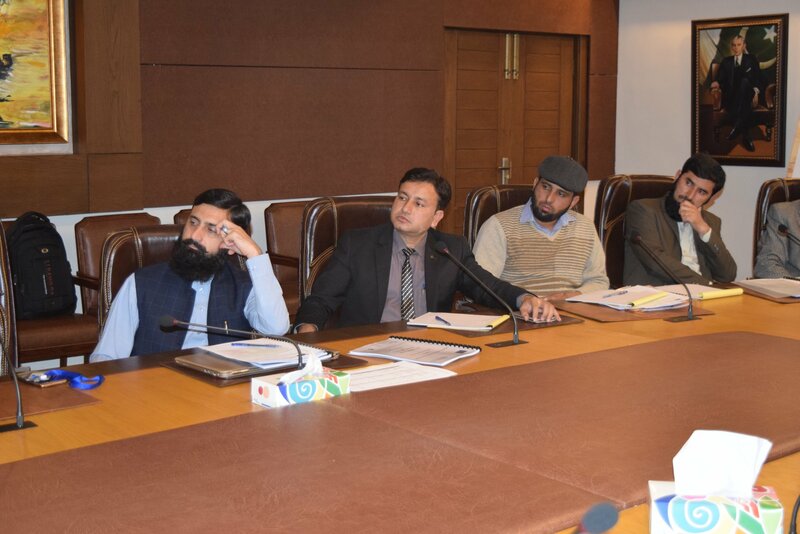 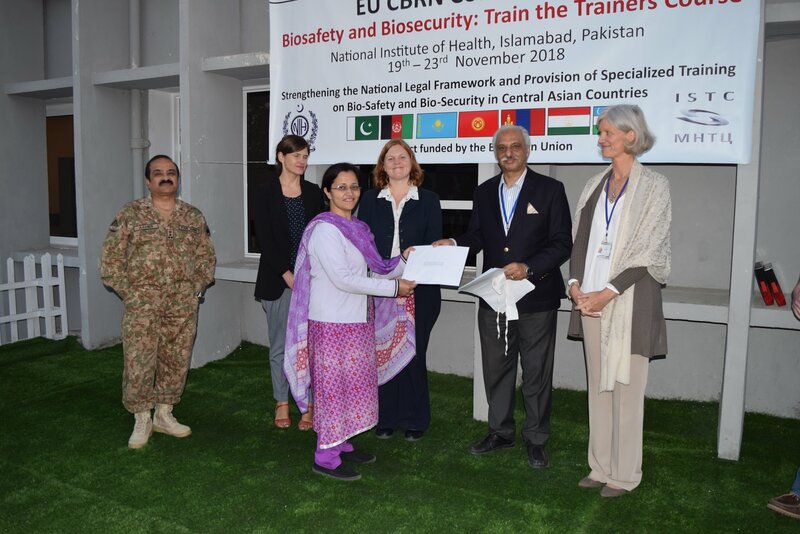 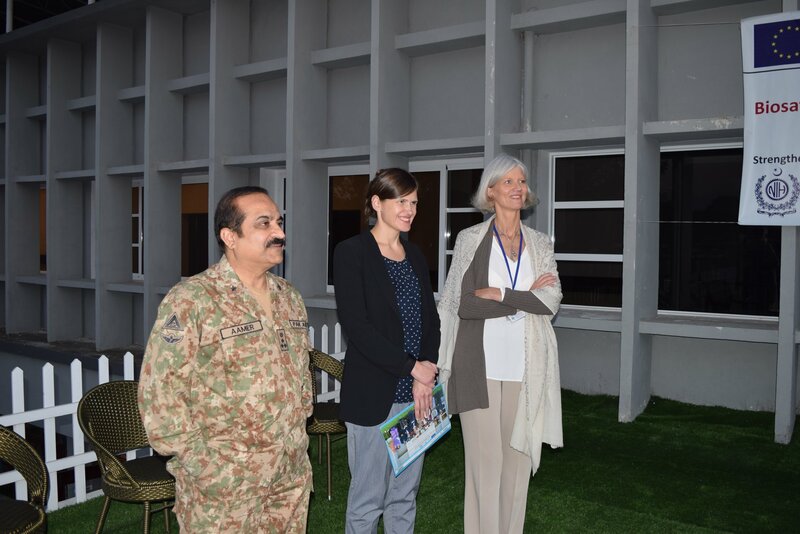 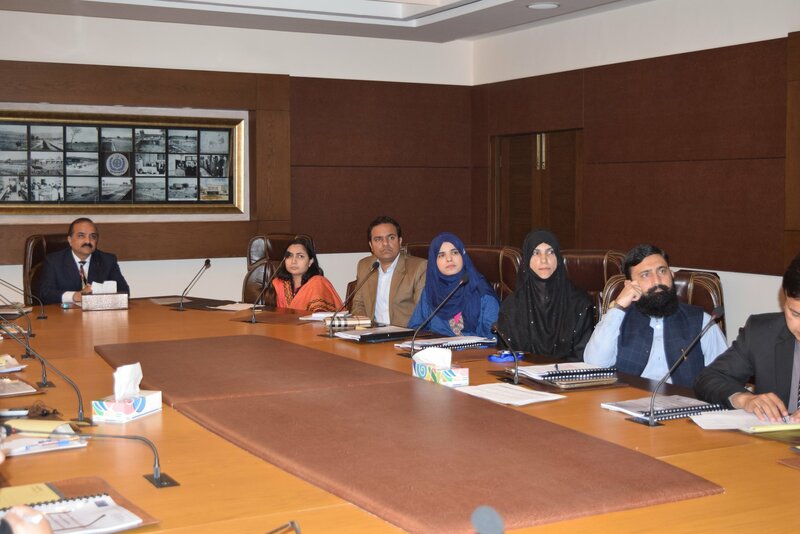 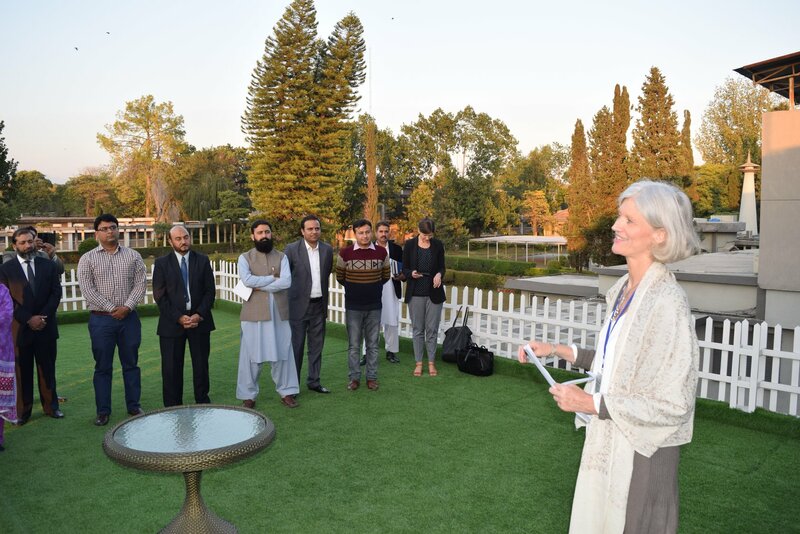 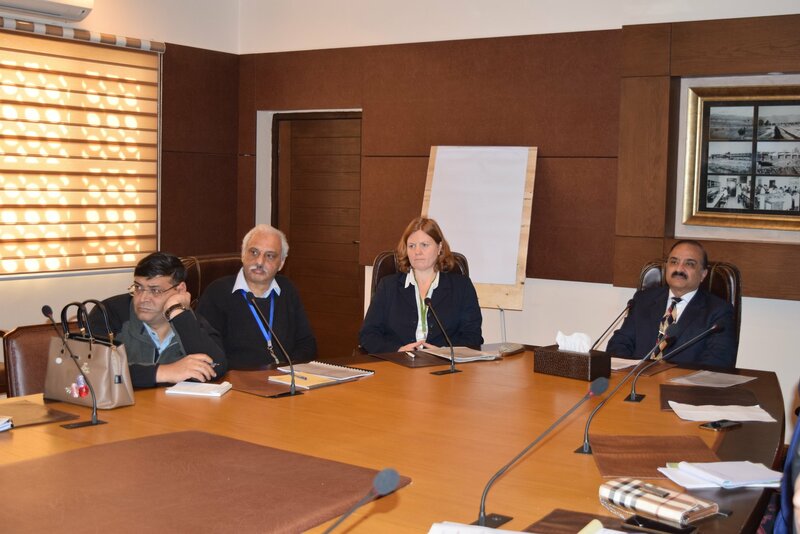 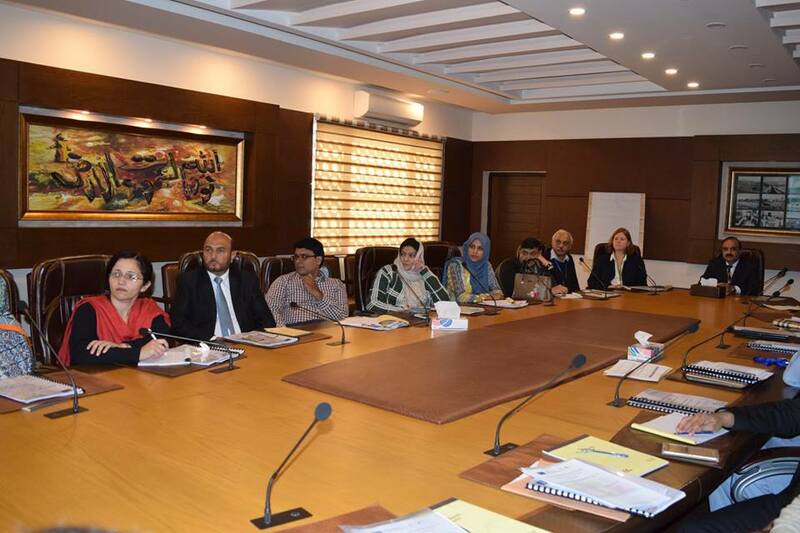 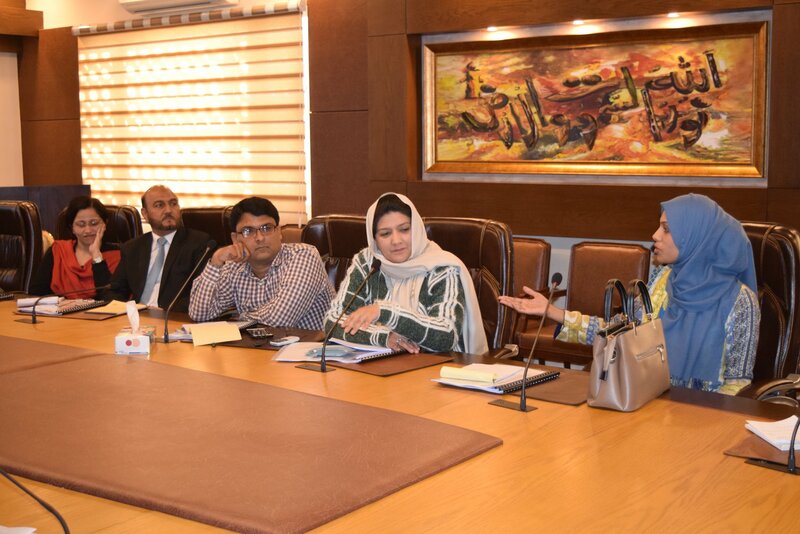 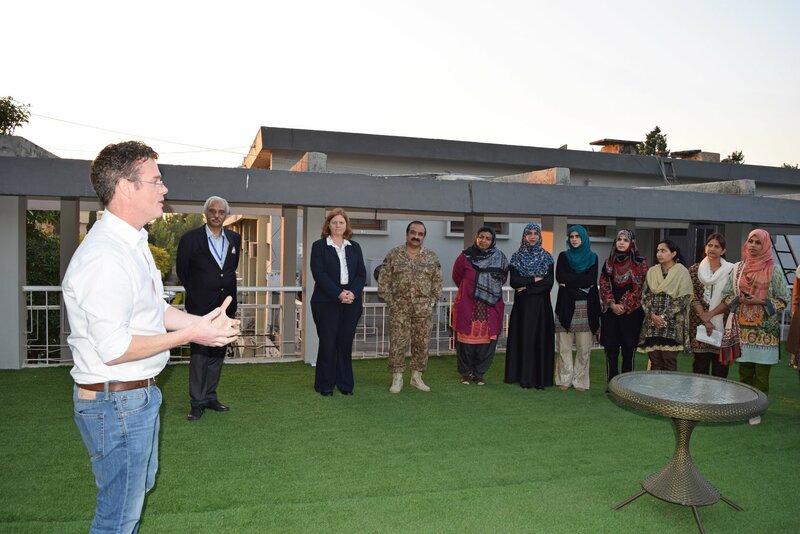 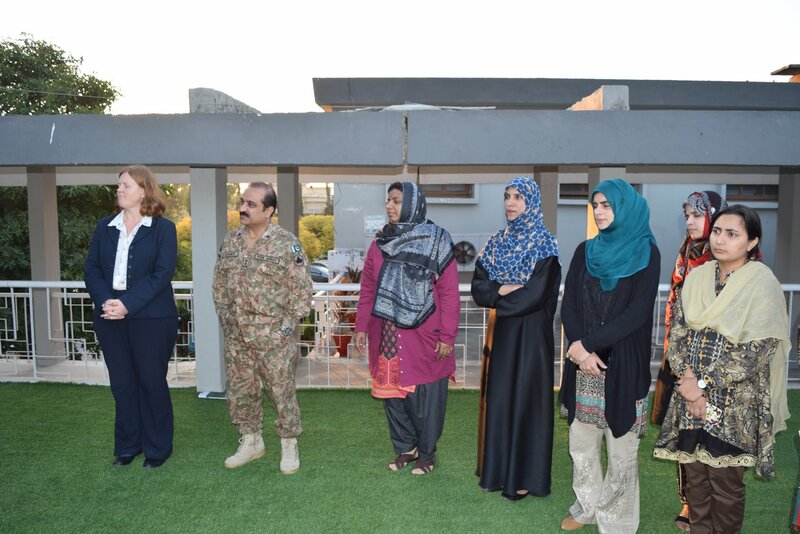 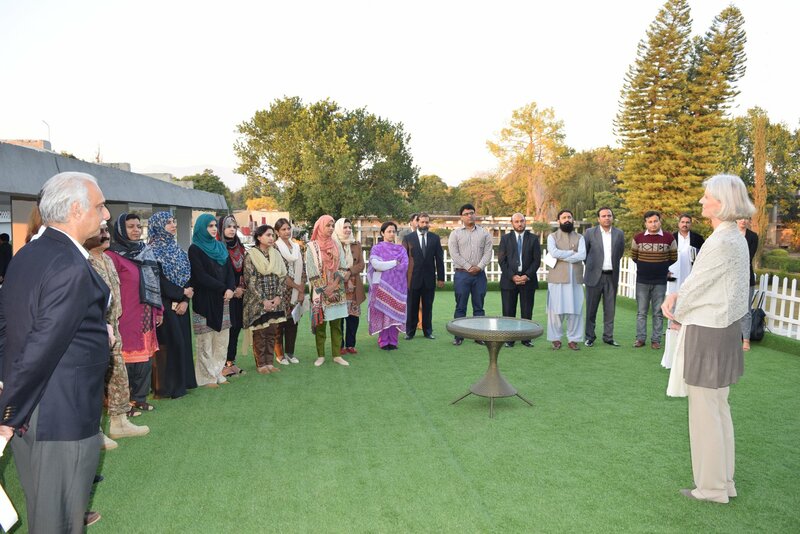 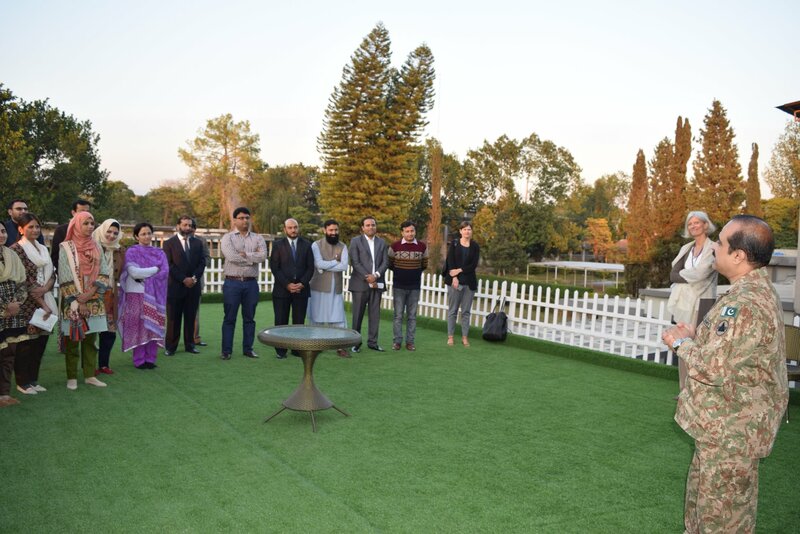 The participants will now apply the knowledge gained through this course and will deliver training sessions at their own institutions, in order to contribute to greater biosafety and biosecurity throughout Pakistan.